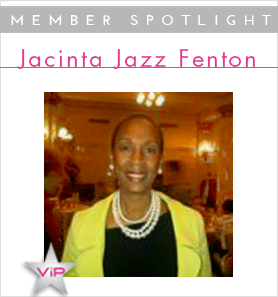 Meet NAPW members in Member Spotlight, a monthly column that lets members highlight their careers and businesses. 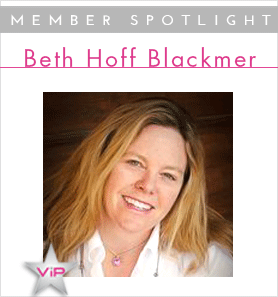 This month, we feature 20 accomplished women so be sure to check out each of their profiles. VIP, Elite, & Preferred Members: To be featured in an upcoming issue of the newsletter, contact us at featuredwomen@napw.com. 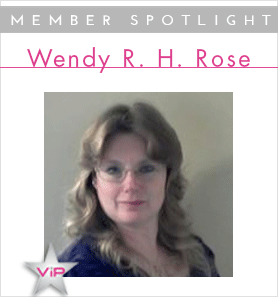 Rose: I love to read and write year round and in the summer, participate in water sports. I enjoy Sunday mornings in church. Rose: Business administration is so versatile and needed for every industry. I would advise women to concentrate on accounting because everything revolves around money. You are in business to make a profit and even if you are in a nonprofit industry, you still need money to provide your services. NAPW: How do you measure your success? Rose: I measure my success by my level of personal satisfaction of achievements and by the lack of complaints from others. Compliments are few, but complaints come freely. NAPW: Tell us about your profession and/or your business? Rose: I am the Corporate Administrative Assistant for a nation-wide cable TV contractor based in Chicago. I handle everything from accounts payable to marketing, from human resources to legal affairs. I interact with customers, vendors and contractors every day. I am also a new Author and have several books in my God’s Word For Your Life ShortCut series. I have my Bachelor degree in Business and actually use most of what I learned in college. Company: Integrated Facilities Solutions, Inc.
NAPW: What is your profession? NAPW: What led you to choose this career path? Huber: I enjoy solving problems and creating solutions. I thrive on interaction with people and take pride in seeing people enjoy their surroundings and successfully complete projects. NAPW: What professional achievement are you most proud of? Huber: Evolving in this industry and being flexible to adapt to many different roles as needed, bringing value to the clients. 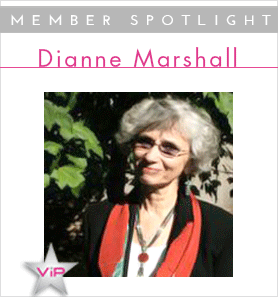 NAPW: Role models inspire us. Whom do you admire, and why? Huber: Full-time working moms. An incredible blend of dedicated professional and mother. Our work is never really done. Huber: Personal and professional satisfaction and the natural desire to get up and do it all over again each day! Arturi: I am first and foremost a proud wife and mother to my amazing family. My second and third roles in life are happily, equal parts Executive Director of the Daniella Maria Arturi Foundation, a medical research foundation seeking the cure of the rare bone marrow failure disorder, Diamond Blackfan Anemia (DBA), and the CEO of buncee.com, a fun and easy-to-use digital content creation and sharing platform I developed for business, education and personal online and mobile users. Arturi: I began my career in sales and started my own company in Manhattan while in my 20’s. While I was proud of the business I built, I never realized at the time just how grateful I would be later in my life for the business experiences I had in my early career. After losing our daughter Daniella to a rare bone marrow failure disorder, Diamond Blackfan Anemia, it became imperative to us to find a way to try to improve the fate of other children and families living with this and other rare disorders. I set out to try to learn as much as I could about this disease and to bring a community of researchers—anyone who would listen—together to spend at least a day, a year focusing on this disease. Seventeen years later, I have the honor of working with some of the world’s most renowned hematologists, geneticists, cancer researchers, government officials and caring supporters who are all dedicated not one day a year, but every day of the year to finding a cure for DBA and related bone marrow failure disorders. My business roots, and particularly my sales background, were incredibly helpful in our efforts to establish and run the foundation and eventually, buncee.com, the “start-up” we have built in hopes that it will both meet a digital content creation need for our customers, while also someday, hopefully, becoming a more fun way to “raise funds” for the foundation’s medical research efforts to find the cure for DBA. Arturi: I’m extremely proud of the foundation and of the remarkable team of doctors, researchers and medical officials who tirelessly help us drive advanced research toward DBA. These efforts are leading to better treatment options and helped lead to the discovery of DBA as the first known human disease caused by a ribosomal protein disorder, a discovery that has opened up an entirely new area of scientific research that may yield clues to several other disease areas. I am also very proud that buncee.com actually exists! It’s fun, it’s exciting, it’s nerve-wracking, it regrettably takes me away from my family and competes for my focus in every area of my life, and is the source of many sleepless nights—it’s everything a proverbial “start-up” is supposed to be. But, in the end it is most certainly a labor of love fueled by my hope to honor my daughter and each of the child and family living with DBA, and everyone living with a rare disorder. Arturi: Congresswoman Carolyn McCarthy. 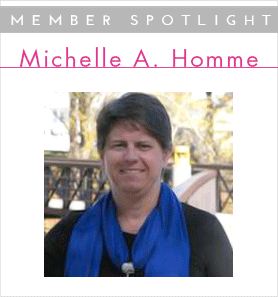 She works tirelessly to better the lives of others as a result of the tragedy in her own life. Skoczypiec: I love gardening, crafts and creating new products for my product line. Skoczypiec: Research the field and the market that you are interested in. Get a feel for what consumers are looking for the most, and what you can offer them that may be unique. NAPW: What is the best career advice you’ve received? Skoczypiec: The best career advice that I have ever received was to “love” what you do; wherever your career path takes you. Skoczypiec: Measuring success isn’t always in dollars and cents. It’s how your customers feel about you and your business, and the help that you’re able to extend to them. Success is when your customers return year after year to your business and will not go anywhere else. Skoczypiec: I sell natural/organic cosmetics and skin care, hair care and product accessories. These products are suitable for all skin types and ethnic backgrounds. You don’t realize it until you are in the business that there are so many women around the world who don’t have natural cosmetics available to them. Skoczypiec: Studying nature and what nature has to offer. I’ve always been a creative person. I start with a concept and build on that. Betancourt: My full-time profession is Administrator at a law firm. However, I also offer services as a Controller for a company in the restaurant industry and business consulting. Betancourt: The desire to grow professionally, the security in myself, the curiosity to learn new things and helping in the success of others. Those things are what prompted me to throw myself and test my abilities. What could I lose? The result has been 14 years as an Administrator in the same law firm. Evidently, with great expectations of continued professional growth. Earned my Master degree in Business Administration with a concentration in Human Resources Summa Cumm-Laude. Demonstrating to all women, especially those who are single mothers, that anything is possible with dedication, faith and self-confidence. Becoming an example to others by gaining their respect, confidence and pride. Contributing to the happiness of my family to see my growth not only as a professional but as a human. They are proud every time I reach an achievement. Betancourt: I admire all women who have achieved professional and personal success. Clearly, this shows that there is a wide field for us to achieve all that we want. That fills me with pride and inspires me to continue fulfilling my goals. Learning to meet other organizational cultures to improve my professional and personal development. Recognition to receive the compliments of your loved ones, gain the respect and admiration of those I work or serve for. Money. I include this concept as part of success. Happiness is not acquired with money but its power affords tranquility. Reaching the necessary income level to guarantee a good education for my children, continue with home maintenance and for my parents, who are in a stage of life where they must be cared for and looked after. Altruism. We know it’s an act that involves sacrifice to provide comfort to others. We often think that we have a full agenda, but the reality is we have the time. When you make the commitment, you realize there is no other thing better than to help those who are disadvantaged. Your help, cooperation and attention offer the opportunity for a significant change to those who receive it. I help to develop and organize activities for nonprofit organizations, such as the March of Dimes, Susan G. Komen, nursing homes and groups that support orphaned children. I feel a great pleasure doing this and also when I guide and direct people to achieve their dreams of a business. If we do anything for those we love, why not do the same for those in need, regardless of who they are? 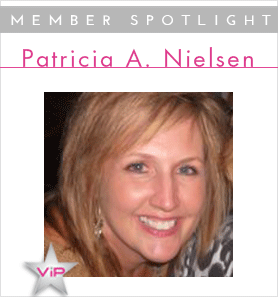 Nielsen: I started the main portion of my career in marketing, working up through the ranks in various positions, from Marketing Assistant to Product and Channel Managers. Those positions offered me the opportunity to work directly with customers and getting a product from “cocktail napkin concept” to the retailer shelf. This is where my passion is – walking into a retail store and seeing a product on the shelf that I had something to do with. Nielsen: At the beginning of my sales career, I was knowledgeable about working with customers but did not quite master the finesse of sales. My first two years on my own in the sales role, I won the Unsung Hero Award at Lowe’s, where I was recognized at their annual meeting; my company was also nominated for Vendor of the Year at Lowe’s that same year. I am extremely proud of this accomplishment as it demonstrates my hard work and passion for the customer, as well as the can-do attitude to do what it takes to get the job done. Nielsen: I admire a lot of people who can make their own way in life and can rally others to do the same. There are numerous role models who have inspired me throughout my professional career and personal life. I admire women who can rally out of abusive relationships. I admire my sister who battled cancer and won. I value my former Vice President of Sales at Lamplight for always believing in me, even when others did not…he was, and continues to be, my mentor for success. There is always a role model in all aspects of life. Nielsen: Success is knowing that deep down in your heart, you have achieved something you set out to do; or if you did not achieve the final goal, you learned from the experience. Knowledge enriches the spirit and there are a lot of ways to define success, but ultimately, if you are happy, you are successful. Sebesta Gligoric: I’m happiest when it’s me, Philip and our two kids acting like idiots somewhere. I’ve done some really wild stuff like bungee cord jumping and jet skiing over sharks in the Keys. But nothing compares to digging in the sand, dirty, no-makeup on, wearing the most non-Glamazon swimsuit possible with the kids as we all marvel over clams digging back into the wet sand, or waking up to a six-year-old’s toes in my face because someone decided to climb into bed with me at 6:00am to cuddle. Sebesta Gligoric: I would give them a book of advice, we don’t have room! Actually I would tell anyone regardless of gender that the American dream is still possible if they are willing to work hard, have a strong faith, have passion and surround themselves with the right people. Sebesta Gligoric That I’m the architect of my own fortune and the biggest thing standing between me and my goals is the bull**** story I keep telling myself as to why I can’t achieve them. Sebesta Gligoric: I have just been picked by the Coach to all Coaches Rich German to take part in a year-long journey to be designated as one of the few Epic Coaches in America. I’m being challenged daily; it’s thrilling, humbling and also scary because I’m making another leap. Currently I’ve been consulting and mostly working as a Physician Liaison/Consultant. Coaching is different than consulting but it will allow me to reach a much wider audience and make a larger impact with helping small businesses in promoting conservative fundamentals. Sebesta Gligoric: Through the eyes of my son who is turning 7 this month and paying attention to those around me. Tweeting and blogging on conservative issues allows me to connect with many people and also many people who strongly disagree with my opinion. However, as a Conservative, I’m very much an advocate for free speech, free market and all Americans having the right to strive for the best of everything. I want to learn and I want to grow and the best way is through interacting with others and using my voice. Fenton: I enjoy spending the day with friends at the bathhouse or spa. Taking a dance class or enjoying a delicious live/raw food lunch or supper; or exploring a new area I am not yet familiar with; and sometimes when I am in the Caribbean, lying in a hammock, enjoying the ocean breeze and reading something interesting. Fenton: Be true to your passion. Trust yourself; be confident in your “beingness” and learn every business aspect of your field, if you intend to operate as an Entrepreneur. Fenton: I measure my success one woman at a time. Most often that one client touches others and passes on the information and support to help others. My mission is to teach other women to care for themselves and then pass it on to other women; healing the planet one woman at a time. Fenton: I am a Health and Wellness Consultant/Coach, and a Cordon Bleu Graduate Chef who is supporting women 35 years and older in their efforts to take their bodies, mind and spirit back. I teach them the good things about food and how to choose and prepare them. I support them in their learning what works to keep their bodies healthy or rejuvenated or to heal specific areas. I help them to care for themselves using meditation, food and creating joy in their souls first. I want women to tap into who they truly are and to realize the gift that they are in life. Fenton: I always want to bring the best solutions to my clients so I am a constant and avid student. New information is always on the forefront. I want to keep up with that and also do my own research to make sure that the information I am receiving is the right one for my practice. Morgan: It was by chance really, I was enrolled in an elective real estate course while pursuing my finance degree. My instructor owned a local real estate office; he insisted that I would be a #1 real estate professional. Needless to say, he was very persuasive. I love working with people. That year I was voted “Rookie of the Year” nationwide. Morgan: My greatest achievement has been my unyielding ability to connect with clients on a personal level and see the excitement in their eyes when the American Dream of owning a home comes true. Referrals from past clients, always remind me that I chose a wonderful profession! Morgan: My father, he always showed me that hard work, passion and love of positive people around you would inspire you to accomplish anything in life. 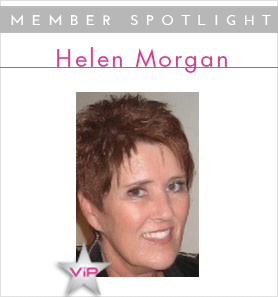 Morgan: I would define success as having a continued passion for helping others and having a wonderful family. Marshall: Being able to successfully assist existing agencies or departments or implement new service delivery systems. Marshall: Giving Methodist Hospital of Indiana (now a part of Indiana University Health) a well-organized, effective Department of Volunteer Services that oversaw 1,000 volunteers in 52 locations throughout the hospital campus. Being a part of the effort to provide an alternative to incarceration for those involved in the criminal justice system due to substance abuse, mental illness and post-traumatic stress. These programs are known as drug courts, mentally ill offender courts, veterans’ treatment courts, juvenile drug courts, family dependency courts and more. Fiora Marietti Houghteling because she was able to be clear, specific and authoritative without ever being ugly about it. Fiora also went to Harvard after her four children had graduated from high school and got a Master degree in nutrition. She epitomized graciousness for me. Rose Cologne because she was able to work all over the world as a single woman and she was a terrific cook. Hillary Clinton because she is durable. Shabana Basij-Rasikh because of her strength and courage in fighting for the right of Afghan girls to access education and because of her love and respect for her father. Philip Odhiambo Munyasia and David Macharia because they have returned to their communities in Kitale, Kenya, after attending Ecology Action’s training in bio-intensive gardening. Despite the tremendous challenges they face, especially by American standards, they remain positive and committed to their work and their families. Marshall: The ability to take on tough challenges, to not be discouraged by repeated failure, to measure accomplishments incrementally and value process as well as outcomes. Only Hollywood and TV shows have great achievements in 40 to 180 minutes! 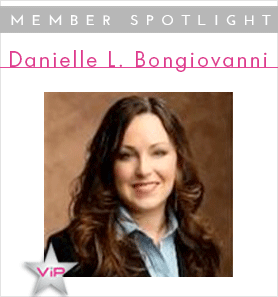 Bongiovanni: Certified Public Accountant; Senior Manager in an Accounting and Auditing Department at a regional CPA firm. Bongiovanni: Growing up, I excelled in math. When I entered my senior year in high school, I initially enrolled in a BOCES nursing program at the start of the school year, which lasted only a week. Then, I realized I wanted to change direction and enrolled in the school of business to take some finance and IT courses, as well as college-level math courses. Shortly thereafter, I began looking at colleges and universities and chose a local private college that was very well-known in the area for excellence in its accounting and finance programs. I received an internship between my junior and senior years of college at the regional CPA firm I work with now. I began as a full-time staff Accountant at my firm shortly after graduation in 2003, and was then promoted to Senior, Supervisor, Manager, and then to Senior Manager; the position I have now held for 2 ½ years. Since I started with my firm, it has significantly grown from about 35 to 90 associates. Bongiovanni: The implementation and monitoring of my firm’s quality control systems and processes for the accounting and auditing practice. I spearheaded the implementation of updated quality control processes and procedures approximately six years ago, and I continue to monitor and implement best practices for the department. Quality reviews are an instrumental part of a CPA firm’s accounting and auditing practice as standards and regulations require them, in conjunction with external reviews, to practice and to issue auditors’ and/or accountants’ reports on our client’s financial statements. Bongiovanni: I have no specific individual to single out as my role model. However, all working mothers inspire me. Being one myself, I admire all such working mothers that I come across in various businesses that I service in my practice. Achieving a balance that is right between your professional and personal obligations is always difficult, and will vary for each individual. I am inspired on a daily basis by these regular women who are able to achieve a work-life balance that works for their individual situations. Bongiovanni: Being successful is a relative term, but I would define it as a combination of being proud of your accomplishments, being in a position where you are adequately compensated and not struggling to make ends meet financially, being viewed by others as in a position of leadership or expertise, and ultimately being able to enjoy your achievements and time with your friends and family. Purvis: I am a certified Lead Auditor of ISO 9001:2008 Quality Management Systems, a Lead Auditor of 14000:2004 Environmental Management Systems and an Auditor of TS 16949:2004. 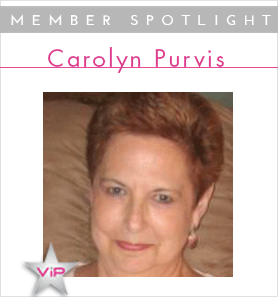 Purvis: I worked in the quality department of a manufacturer of heavy duty braking systems for large trucks. When the standards came out, I was selected as the coordinator to lead the implementation of ISO 9001 into our current management system. Purvis: I was selected as an Auditor for the Tennessee Quality Award in 2001. Purvis: Whom do you admire, and why? I had a wonderful Christian, faith-based family growing up. Then I married a wonderful man. I admire him because he grew up with eight siblings, a beaten down mother and an abusive father in a sharecropper home in Georgia. When he was 13, his father died suddenly and my husband became the “man of the house.” At age 15, he quit going to school and went to work to help support the family. At 18, he joined the Army and served for 20 years. He never once alluded to the fact that his childhood was terrible. He rose above that, got his GED and completed his college degree while in the Army. He was a leader, gentle, giving, funny, a God-fearing man and a husband beyond compare. He never said anything bad about anyone and hated gossip. I strive to be more like him. Purvis: To me, success is achieving the outcome that was desired. Heisey: I am a full-time Acquisition Specialist/Contracting Officer for the Defense Logistics Agency (DLA) in Columbus, Ohio. I have been employed with DLA since April 2009. My main objective is to provide support for the military customer through emergency contract buys. I also work part time for the Central Ohio Technical College (COTC) in Newark, Ohio, as an Adjunct Instructor in the Business Department as well as a part time Tutor in the Communications Resource Center. I have worked this second position since 2001. Heisey: I believe both my professions chose me. My full-time position evolved from a contracting position that I learned about from a friend. I had just graduated with my MBA in December of 2007 and was content with my previous company when I was approached to apply for a purchasing position for a contractor who was on site at DLA. I applied and was hired in February 2008. This was a huge decision for me because I realized I would have to make a life adjustment with a daily commute and I would have to figure out how to balance my second position as an Adjunct Instructor with the college. I also was faced with stepping out of my comfort zone. Living in a small town does not afford many professional opportunities. I knew it was time to spread my wings and I was hoping to make a safe landing! At that point in my life, I was commuting back-and-forth from Columbus and was teaching four nights at two campus locations. It was an exhausting time in my life but I knew this grueling pace would not be forever. In April 2009, I was hired directly with DLA into the Internship Program as an 1102-7 in Acquisitions. This is a highly coveted opportunity and extremely competitive. I remember receiving the phone call on February 23, 2009 that I was accepted into the program. I remember this date because it was my father’s birthday and he had just passed away in November of 2008. My mind still floods with emotion every time I think about it. This program afforded me the opportunity to work and receive specialized training over the course of two years. This program is a career-track program that provides many opportunities for upward mobility if that is what you ultimately want to do. I graduated from the program in August 2011 and had earned my 1102-11 status. Since July, 2009, I was assigned to an emergency buy team and have thrived in the high-energy, high-volume atmosphere. I am extremely lucky to have a very knowledgeable supervisor who wants each person on her team to be successful. In regard to the teaching position, I had applied and had the opportunity to interview with one of the deans. It just so happened that as I was entering the office, an instructor I knew stopped me and was elated to learn that I was there for an interview. She expounded with kudos about me before the dean said I was hired. My first years of teaching were in the communications department and about four years ago, I was able to transition into the business department. I have taught several composition, critical thinking, and communications courses and now on the business side, I have been able to teach microeconomics, team-building courses and the intro courses to business and human resources. Heisey: I am very happy with the awards I’ve received in my work for supporting the Warfighter, such as a HOOAH Award for saving the government $430,000 on an assignment, receiving a Lefty Award for providing emergency buys for a special line-stopper assignment, being a supporting contracting officer for a special assignment team while maintaining my own workload, stepping in as an interim supervisor earlier this year and lending support to forward emergency buyers in several states. I was asked just this week to supervise another team for the next couple of months or longer and to concentrate on training needs and workload management. I was told I was selected because management feels I have a great personality and that the people on the other team would feel comfortable with me. I have also been involved with the Command Federal Campaign (CFC), which is an annual fundraiser for charities. I am a member of the Leadership Development Association (LDA), and I am being wooed by Toastmasters. I received a Table Topic Award at a meeting I attended last week because they voted my speech as the best of the guests who were present. I did not realize this was something guests do when they go to a Toastmasters meeting…talk about off the cuff! Heisey: Both my mother and my father are my role models. I remember growing up not seeing my dad as often as I would have liked. He worked two jobs so that my mother could stay at home and raise me. I learned that hard work and honest work is what it takes if you want something out of life. I can remember my mother telling me as a child that she hoped I would get my degree some day. She worked for several years before having me and during those years, women could not be managers. She trained men to ultimately be her boss and she was not even compensated for that training. She knew, though, that change was in the wind and she felt that if I had a degree, I would have the education needed to help crack the glass ceiling. Earning my B.A. with a major in Communications and a minor in Dance only wetted my appetite for more. Heisey: I think about Maslow’s Hierarchy of needs and that self-actualization is not only attaining the collection of elements presented in the pyramid, it is the feeling of satisfaction one gains through this process. If all these aspects that you have achieved make you happy, then you have self-actualized and you have found success with yourself. After all, you take yourself with you wherever you go, so you better be happy with yourself. Blackmer: I own and operate a construction equipment rental business. Blackmer: My father started this business in 1967. In 1999, his manager of 22 years had to leave due to health reasons so I joined in the business and then purchased it from him in January 2000. I hadn’t worked in this field before but wanted to keep his business in the family. Blackmer: In 2000, I knew nothing about construction or construction equipment. I grew the business 150% in the first six years I owned it and two years ago was elected to the National Board of Directors for the American Rental Association where I am presently the only female regional director! Blackmer: Archbishop Desmond Tutu-I have had the honor of meeting him a few times and love his peaceful energy and his desire to help this planet. Blackmer: I strive to live a balanced lifestyle! I aim to be the best leader in the work place and a great wife at home and daughter to my parents; all while taking good care of myself through diet and exercise. Devlin: I am a Producer and an aspiring Writer. Devlin: I was tired of working for producers and decided I could do it on my own. Since living through my son’s drug addiction, he and I decided to write a book together as a mother and son. I chose to do so to try to help other mothers who are going through the same situation as I did. It all changed me so much as a mother and a woman that I felt the urge to put it all on paper. Devlin: Having an idea for a show and actually creating it. I visualized it, cast it, wrote it, produced it and edited it. (All while recuperating from a heart attack.) I was given an executive producer credit and sold it to a major network the first time I pitched. I backed out at the last minute before signing the final contracts because the network wanted me to make it “edgy” and I didn’t want to sell out. I decided to stay true to myself and my project, which to me is the achievement of which I am most proud. I will begin the pitch process again. Devlin: My mother and my daughter. I lost my mother to breast cancer at a young age. She was everything I could ever hope to be. She was not famous but was the strongest, most supportive, most forgiving woman I have ever known. She had all the qualities I admire and I see the same qualities in my daughter. Passion, strength and courage have always been what I admire most. Devlin: Happiness. If you are not happy then you are not successful. Smith: I’m a Spiritual Life Coach and Teacher of Holistic Dance for women. Smith: My life experiences and challenges, in particular, one that was the trigger for a life-changing career…the unmerciful fate of my husband being diagnose with a brain cancer (GBM) and the prognosis that he only had one year to live. Smith I am most proud of my role as a caregiver to my husband and being a mother of a three-year old little girl. I was able to start my new path as a Coach, as well as becoming an Author of two books. Smith: Princess Diana. Before her fairy tale marriage, she was a shy young girl, full of dreams like so many women when falling in love. In spite of all her duties, pressures and challenges that she had to endure as a royal member, as well as a tumultuous and unhappy relationship, she was an incredible ambassador and advocate for the poor, the ill and lost causes. During her short life, she grew up from being a fragile young girl to a beautiful strong woman. Princess Diana became a fashion icon, an example of beauty and refinement for many to follow. Against all the rules, she fought to raise her children with heart and compassion and respect for other human beings independently of race, color or creed. After all, these qualities were the legacy that made her so unique, beloved and unforgettable. Smith: I feel successful when I can contribute somehow to someone’s success. Homme: I am a Blogger with readers all over the world; a soon-to-be published Author; creator of The G.I.F.T. (Greatness Is Found Together) ©, a Life Coach for Women; and a Motivational Speaker. Homme: This career path chose me as I answered the question, “What is the one thing I wish I could change about my life?” and I fell in love with my passion without knowing it. For the first time in my life, I allowed my heart to live. I have let it guide me and have no plans of doing anything else. I did not realize that anything I said could make a difference in people’s lives — but then it started to and then I was hooked. I had found my calling and I was ready to answer. Homme: I am most proud of my first book, It’s Time – Changing Your Life Starts Today, which will be released in September 2013. Homme: I root for the underdog because they have had it the hardest. At times, we are the ones people dismiss as not being a “shoe-in” and people who rise from tough times through difficult situations inspire me every day. I love to watch people do simple things that make extraordinary moments for no other reason than because it is the right thing to do and that they care more about someone else than themselves. Homme: Success is not defined by money, but by the mark we make on this world. It is left in the legacy we leave on others that people remember most and that they reference back to when it is needed. Downs: My profession is Communication Access Real-Time Translation Provider/Captioner. I am also the President of Premier Visual Voice, which is a company that provides real-time translation or speech-to-text for the hearing impaired community and individuals who may have auditory learning disabilities. Captions also work well for people who may need to read rather than listen to lectures, movies, conferences, training sessions and any other venue where the spoken word is used. Premier Visual Voice also provides Spanish-to-English and English-to-Spanish translations of all services. Services are either provided in real time or post-production, which is after digital media is created. Transcripts of live events also can be provided immediately following the event. 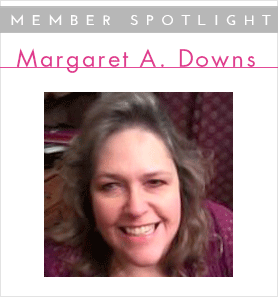 Downs: As a legally blind person, I was looking for a career that would fit my lifestyle and situation. I was also looking for something that would somehow make a difference in someone’s everyday life. I came across closed captioning, and I knew that is what I was meant to do. At the age of 43 and having visual challenges, I started my training and completed it within two and-a-half years. I have a little business background and knew from the very beginning that I was going to start a business providing these services. Within five months of completing my training, I started Premier Visual Voice, the goal I set out to complete. With hard work and diligence, I overcame many challenges with my vision. It was difficult sometimes, but I would not let anything stand in my way of becoming a provider of captions for the hearing impaired community. Downs: I can’t even think that there is one professional achievement of which I am most proud. I am so very proud of all of it. At the beginning, it seemed that it was going to be forever. By the time I knew it, I was actually working and helping people daily. Sometimes I look back and think, you did it. You actually did it! It is unbelievable some days. Downs: I admire my great aunt, Ann Swade. She was the type of person whose life revolved around helping people. She was always there for her family and others. She was like a mother to me and my brother. I, in fact, do many of the same things with my son that Auntie did with me. She was generous, helpful, a lot of fun and sincerely a great person. But I don’t think she received enough recognition for the things that she did throughout her life and the way she took care of many people. I aspire to be one half of the person she was all her life. She died at the age of 94 of multiple myeloma, a blood cancer. Auntie will live in my memory forever and will always be a role model to me. Downs: Success is defined by each individual person and the way they feel inside about the different goals they have achieved. Success can only be determined from within. It is not measured by the number of clients, a bank balance or what kind of car you drive. I feel that I am a success and I have just started my business. Do I have many clients and what about my bank balance? Well, that’s another story. Tosone: I am a seasoned Development and Clinical Operations professional in the biotechnology industry. Tosone: With my science background, I began work in biomedical research, which led to roles in clinical research and regulatory affairs. I enjoyed the efforts to bring treatment options to people and took interest in the career paths to accomplish this. Tosone: I am proud to have contributed to a treatment that was used in clinical trials and for emergency treatments to save the lives of children and adults. Tosone: My mother inspires me as a women who has overcome adversity many times in her life. As a young adult, she redefined herself, worked in the glass-ceiling environment with integrity and raised her family. She taught serenity, the need to speak up for yourself and to respect others. She raised her daughters to be strong women, hard-working, educated, independent, honest and loving. As a working woman, wife and mother, my admiration for my own mother continues. As I reach a new stage of life, obstacle or opportunity, her own wisdom somehow still seems to have grown. Tosone: To me, success is opening myself to grow, take chances and obtain new milestones. Success brings a variety of rewards that may include accomplishment, contributions and other personal gains. Success is best when shared with my family. Feiler: Read, cook, travel, P90X, shooting, lacrosse, charity events, outdoor living, design and décor projects. Feiler: Be thoroughly passionate, fully committed and always operate from integrity. Don’t forget to have fun. Give of your talents generously and both you and the world around you will be rewarded. Feiler: Take full responsibility for every choice, learn and grow from all of my results, view challenging situations as opportunities to improve. Feiler: By the character of my children, the honesty of my marriage, the success of the people on my team and the gratitude of my clients. Feiler: Dedicated to providing the highest quality event planning, meeting and conference management and brand driven marketing events, our goal is to project the standards, integrity, style and image of our clients in all that we do. We believe the design, choreography and execution of an event constitute a strategic message on behalf of our client. Talented and highly creative, our firm designs and executes brand events, lifestyle events and luxury programs that set the standard for excellence in Las Vegas and beyond. SEM offers a wide range of services including venue selection, entertainment booking, design and decor, lighting, valet parking, audio-visual, tenting, transportation, meeting management, event staffing… just to name a few. We are also aligned with the west coast’s largest prop houses and décor centers. As such, we provide clients with the support necessary to ensure a well-planned, successful and memorable event. Feiler: Everything from continuing education, trade shows, keeping up with market influencer’s blogs, online communities, analyzing data and trends in my industry, asking my teenage daughter and her friends their opinion (often), keeping track of the latest technology, art and architecture and acting on inspiration from my own dreams (literally and figuratively). This is my first exposure to one of your ways of helping your members. I am so grateful that you do this sort of thing! Frankly, I was afraid that all you do is to help women in business. selling yourself and your products. with whom I would like to communicate as soon as possible. They are interested, it seems, in SPIRITUALITY, the basis of everything I do. I hope to find even more as you continue these interviews. Thank you for your lovely message. We’re delighted that you took something away from this post. We’re a bunch of volunteers and starting a band new schjeme in our community.